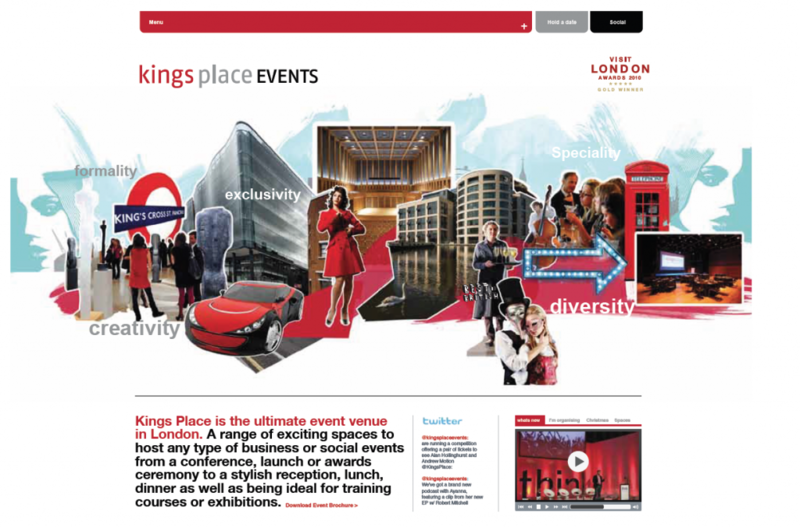 Kings Place Events, the iconic venue in Kings Cross approached Design Incorporated to develop a new digital presence for the offering. We had already designed, coded and maintained the website for the Rotunda Restaurant and onsite Cafe. The Kings Place diversity theme shown above formed part of our creative development work for the London venue website design project and was inspired by the new vibrancy and diversity found in the regenerated Kings Cross Quarter of this previously neglected area of London.